You will Watch Star vs. the Forces of Evil Season 2 Episode 4 online for free episodes with HQ / high quality. Stream cartoons Star vs. the Forces of Evil Episode 28 Star goes on the run after accidentally crushing a police car following a sugar high from a sugarrito. While trying not to get arrested by the police, Star encounters strange characters along the way. / Star and Ludo struggle to get their new wands to work properly. 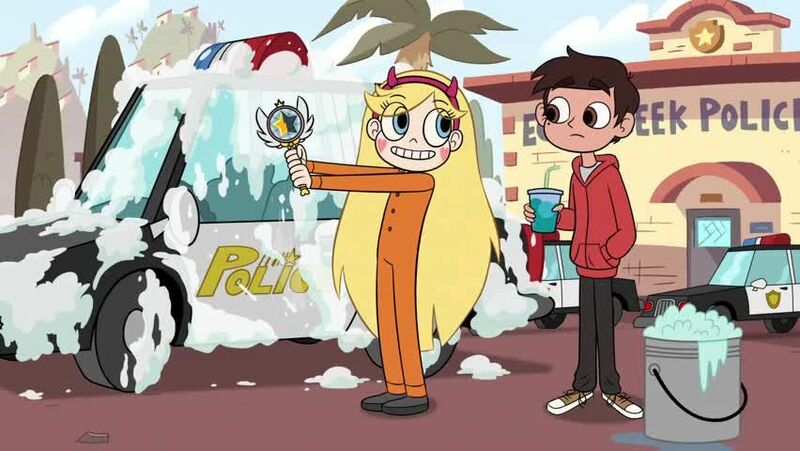 On Star’s part, she tries to use it to clean up the Diaz home before Marco’s parents return. On Ludo’s part, he tries to figure out how it works.